Sardonyx is a form of onyx that is made up of bands of red sard and white chalcedony. 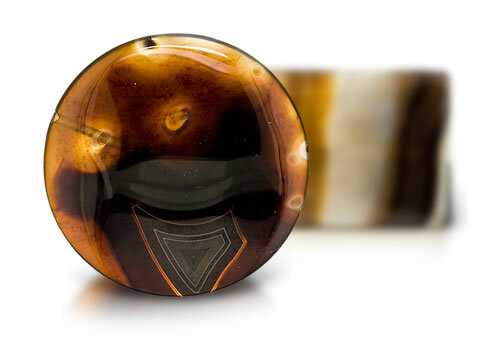 Because of its banded patterns, sardonyx has been used for years in making cameos. Sardonyx has white and/or black bands alternating on carnelian or sard colors and this is what separates sardonyx from other calcedonies.